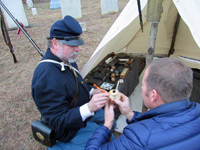 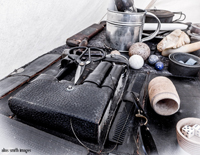 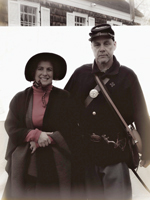 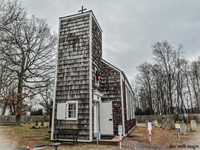 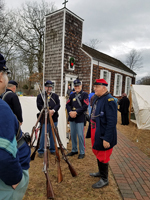 Building on last year's event, the Oakdale Historical Society hosted the 2nd Civil War Christmas at the historic St. John's Church in Oakdale, Long Island. 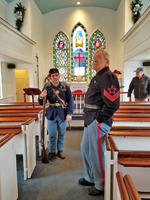 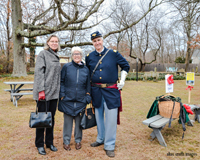 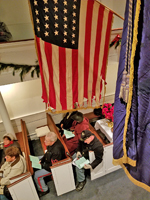 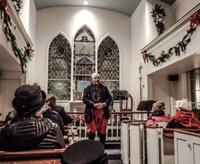 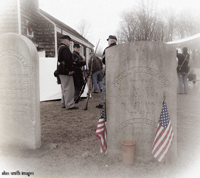 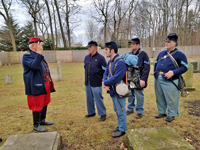 As always, Islip Town Historian, George Munkenbeck, was a key organizing figure and a large contingent of our regiment joined in giving the place a period ambiance. 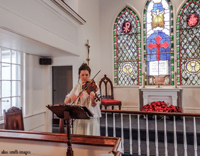 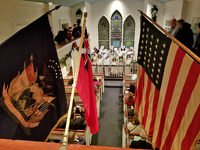 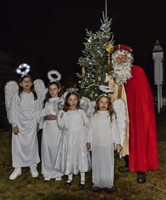 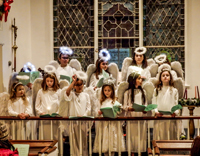 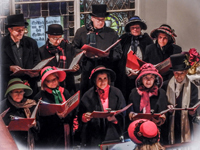 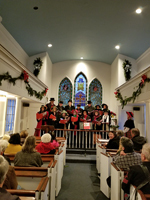 This year's was a bigger production with lots of live entertainment including a violinist, the Dickens Christmas Carollers, and even a choir of Girl Scouts dressed as Christmas angels. 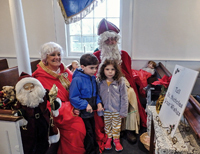 We also had a period Saint Nicholas for the kids. 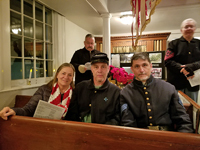 George gave us all an interesting graveyard tour pointing out the Civil War veterans buried on the grounds. 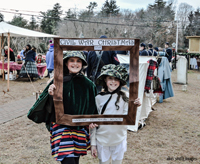 And the weather turned out quite good and thanks to advertising in Newsday we had a big crowd that kept us busy all afternoon and evening.